planetf1.com • View topic - What's missing off the cars? What's missing off the cars? Post subject: What's missing off the cars? 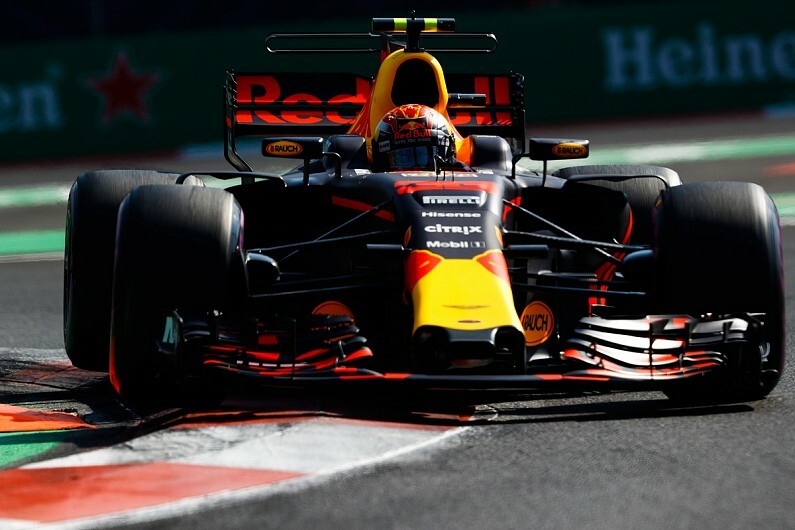 The new rule last season about having the drivers name then having a conspicuous number, but why is it the team name is not displayed on the car? 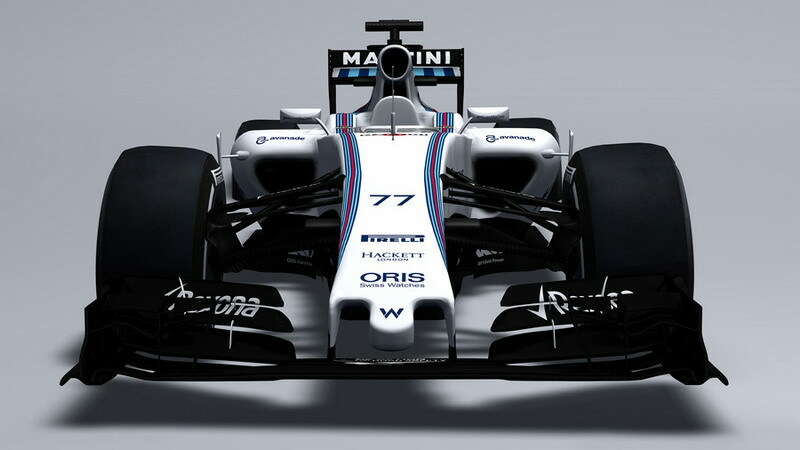 If a team is sponsored the sponsor name is sometimes the same as the team, but there is never a 'badge' across the nose or rear wing. It had never occurred to me before, but once I did realise I really think it is missing and should be there. Post subject: Re: What's missing off the cars? I could be wrong but is this what you're looking for Moby? The team logo or name is usually placed on the nose. Sometimes it's not very noticeable, like McLarens, but they're usually there. It's always on the nosecone, that's a requirement of the FIA's livery rules. Now that I did not know. Thanks. Ihave seen engine suppliers on the cars, such as the Merc star and those shown above but it would be nice to see it in plain letters or symbols right on the nose. Yeah, I agree when looking back over older cars, but the rule says team logo rather than team name. 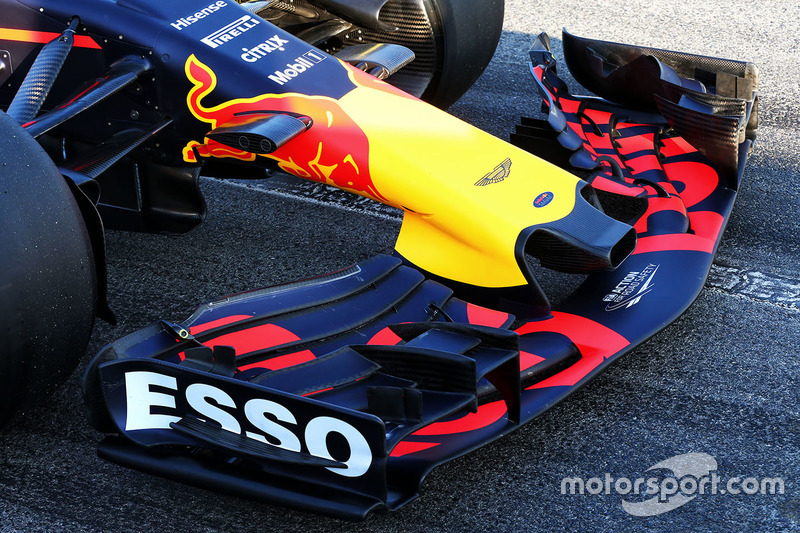 That's why the entire nosecone of the Red Bull cars are red - that whole section is the team logo. 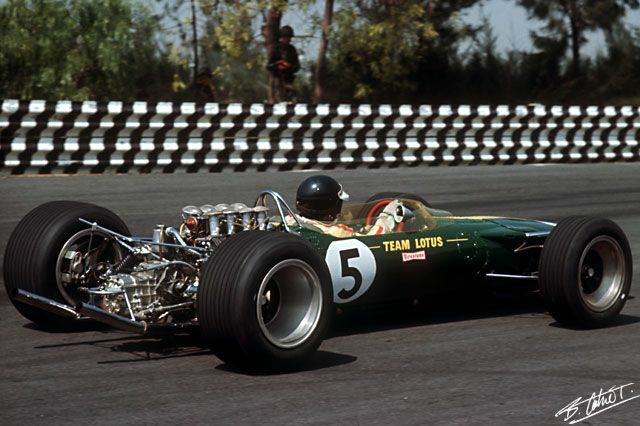 In the non-commercial days when there were (general) colors for each country, there were many Italian cars in red, British cars in British Racing Green, French cars in blue, etc. This made distinguishing multiple teams from the same country difficult, so in many cases the teams listed the team name more prominently. 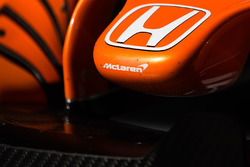 Today, while team logos are required, they are often difficult to see as the teams focus more on using sponsorship liveries to identify themselves.